I’ve got a problem. A real issue. When I’m at car meet, event, show or race, I basically want to buy at least three different cars. Some days more than five. I live out these wild car buying and building fantasies as I walk around. Sometimes – ok maybe a lot of the time – I share what car I would like to build next with the unfortunate soul who happens to be accompanying me. 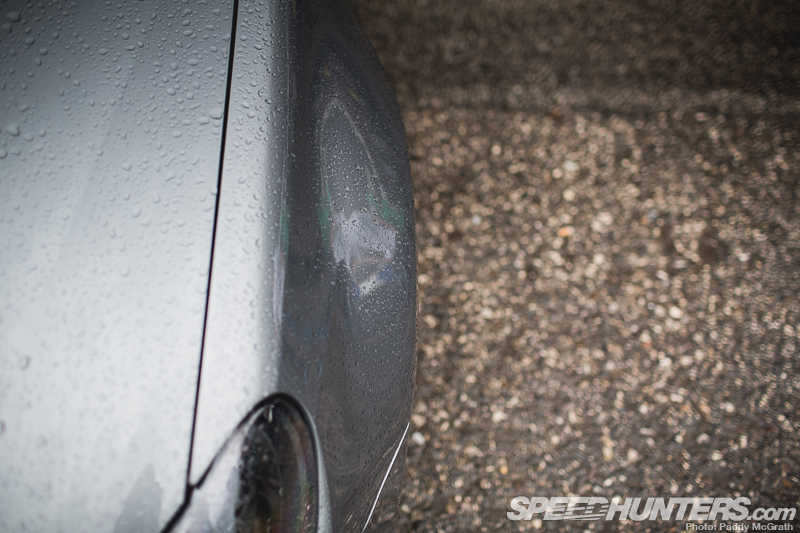 Wörthersee was pretty bad for this. I was perhaps going to get about five or more different cars next on a daily basis. 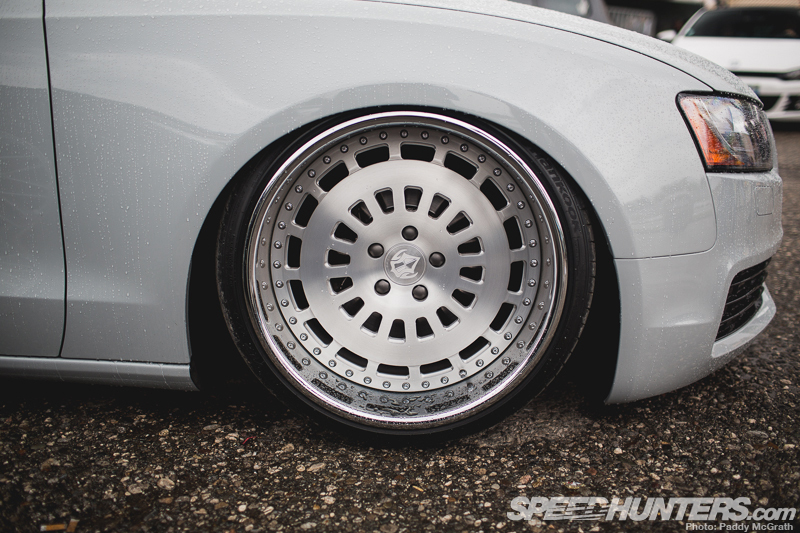 This Mk6 fell into the ‘I wanna build one of these’ category. There was a mega theme going on with Mk5 and Mk6 Volkswagen Golfs over at the build-up to this year’s Wörthersee event. I’ve never seen so many of these models running special ultra-low coilover systems, big brakes, even bigger wheels and wide arches up-front. I first saw these arches, or fenders as you may call them, a couple of years ago on a KW Automotive demo car in Germany. The car was owned by one of their employees – a guy called Alex. I couldn’t believe how low his car was and yet it was still fully functional. After a few minutes looking around I noticed the wider front arches. They were a product by Kerscher and I suspect that this Mk6 is using the same items. At around 25mm wider than stock these parts allow an extra inch or so of clearance. I’m really into the look. Once installed you can run super-low and wheel choice is obviously opened up a little with more width and offset choice within the realms of possibility. 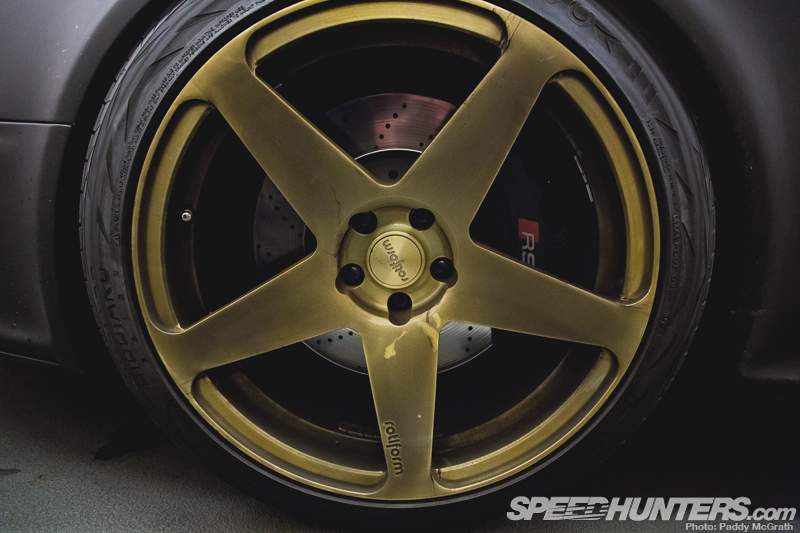 The wheel of choice on these builds seems to be OZ Racing. And why not? OZ make some very fine wheels indeed. 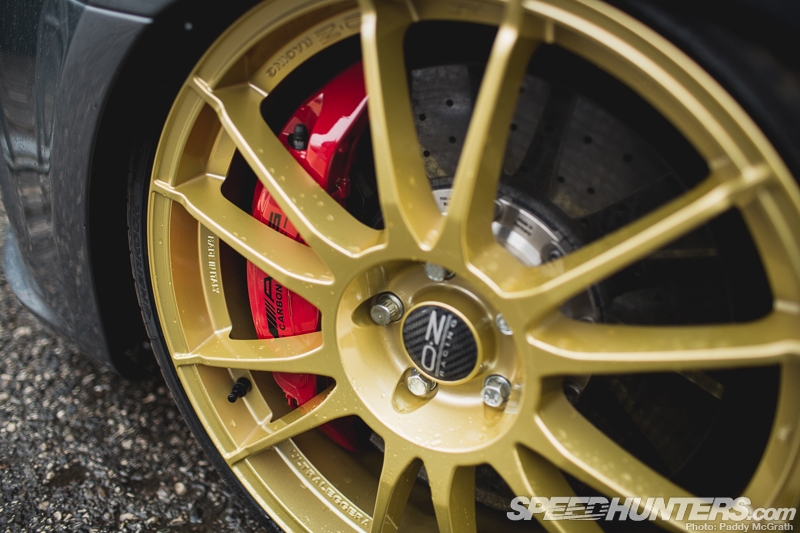 19-inch wheels get teamed up with an increase in stopping power. 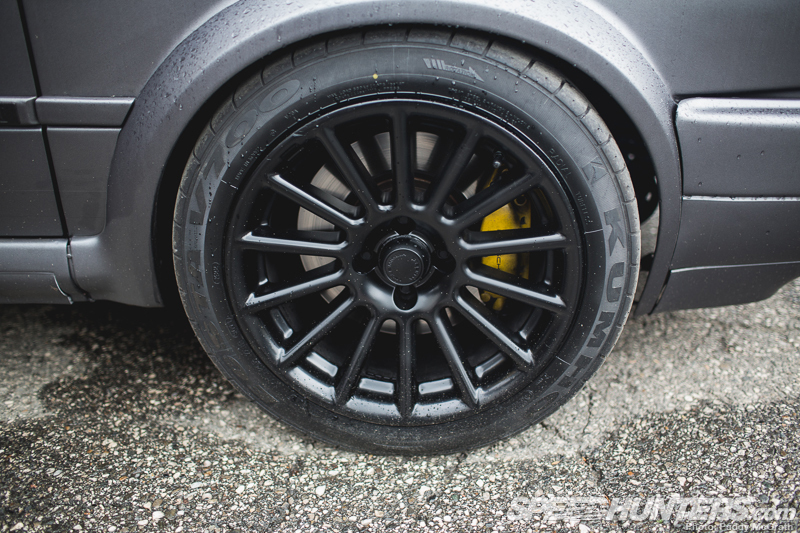 AMG brakes have been installed behind these Ultraleggera wheels. Not just any AMG brakes either. Oh no, these are the real deal Carbon Ceramic items. To be honest this Golf R would make an amazing daily driver. I want it! There were a lot of 964 Porsche models cruising around at this event. I spotted this at the Shell Eni station the other day before it disappeared. This time I caught up with the owner. It was super-clean; definitely one of the nicest 964s I have seen in a long time. 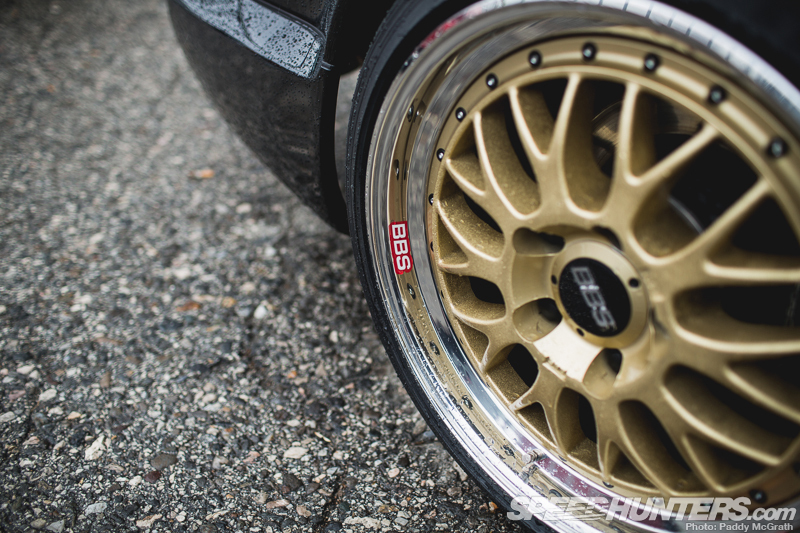 Featuring BBS Motorsport splits with magnesium centres this was classic tuning. The centres up front were stepped from a 17-inch to create an 18-inch, whilst the rear wheel set-up was created using 18-inch centres. 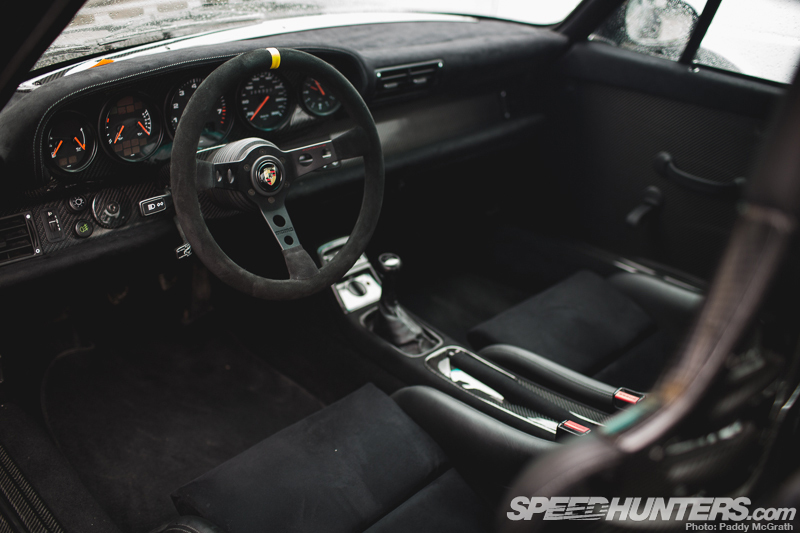 The work was very good and the way this particular 964 sat was awesome. Really cool. I’ve never actually driven a 964 more than a few hundred yards, which doesn’t really count as driving a car in my mind. I would love to spend some time in the driving seat though. I actually can’t think of a more perfect place to be from a driver’s point-of-view. Quite a few of my friends have owned, or do currently own, 964s and they constantly celebrate how good the cars are. Prices here in the UK have almost doubled over the past three or four years as demand for a clean 964 increases. Maybe it’s because a lot of the VW community here are buying them and tuning these cars? Maybe it’s simply because it’s even harder to find a good example. Either way, it’s not helping me realise my dream of 911 ownership! Naturally I wanted to jump in this stunning car, pull that RS-cladded door shut and drive back to the UK. That would definitely be one cool dream drive! 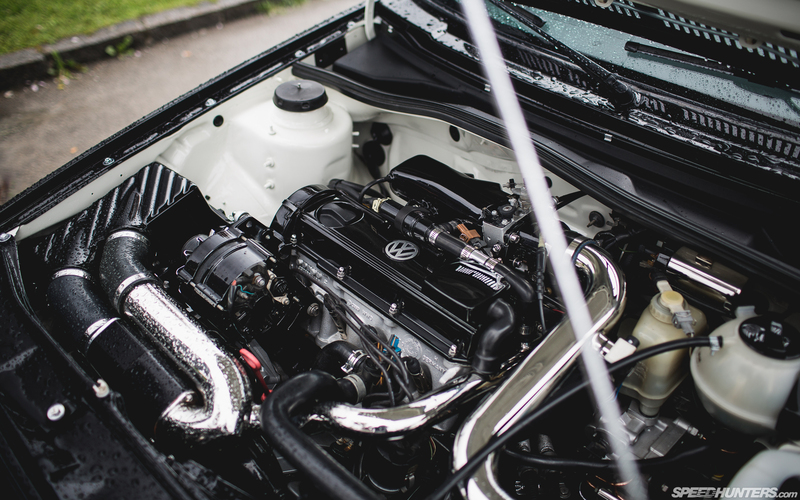 If you want ultimate madness, then this Mk2 Golf will definitely tick that box. 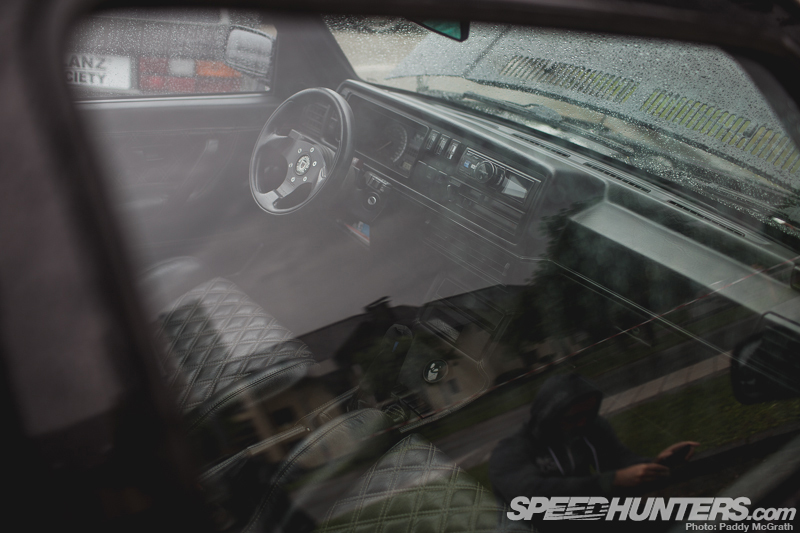 The simple interior doesn’t even really hint at what’s happening in the engine bay. This car’s innards are almost stock. Ok, there’s a seat and steering wheel upgrade, but nothing to suggest the party going on up-front. 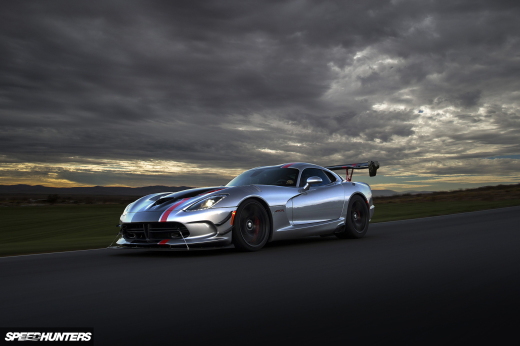 When I say party, what I really mean is over 800bhp of utter insanity! VR6 motors are very cheap these days – you can pick up an entire Mk3 Golf VR for less than a grand in the UK. The early OBDI models are very easy to turbocharge and the results are awesome. 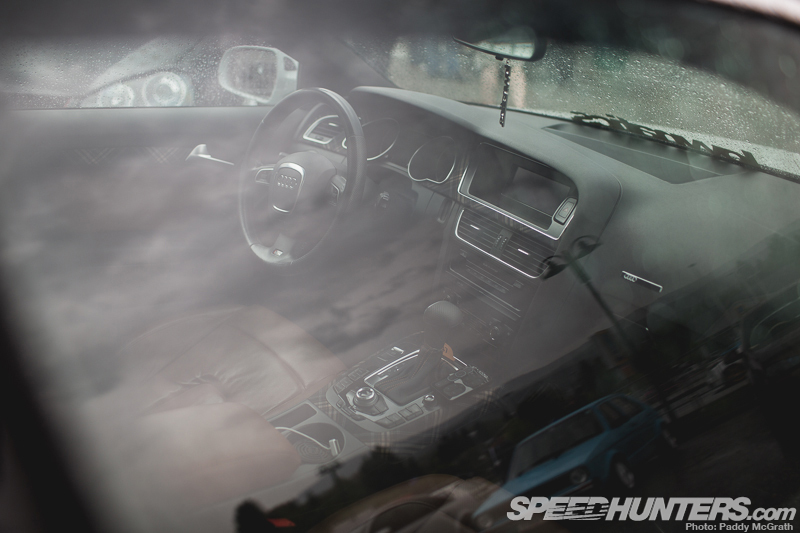 At Wörthersee you can constantly hear VR6 turbos, or VRTs as they’re commonly known, blasting around and spinning wheels out of roundabouts. It’s very possible to build an extremely quick VRT-powered Golf like this without huge amounts of money. People run pretty decent power by just using a spacer plate head gasket system which avoids the need for an expensive bottom end build. Granted, it’s not the best solution to create a strong motor, but if power on a small budget is the name of the game, then this option can serve up good results. I’d be really interested to see how this car performs on the road with all that power. I bet it would be a proper handful! Paddy was really feeling this Audi A5. The super-dishy VIP Modular wheels have been put together using a flat lip, which kind of gives this Audi a VIP feel to it. 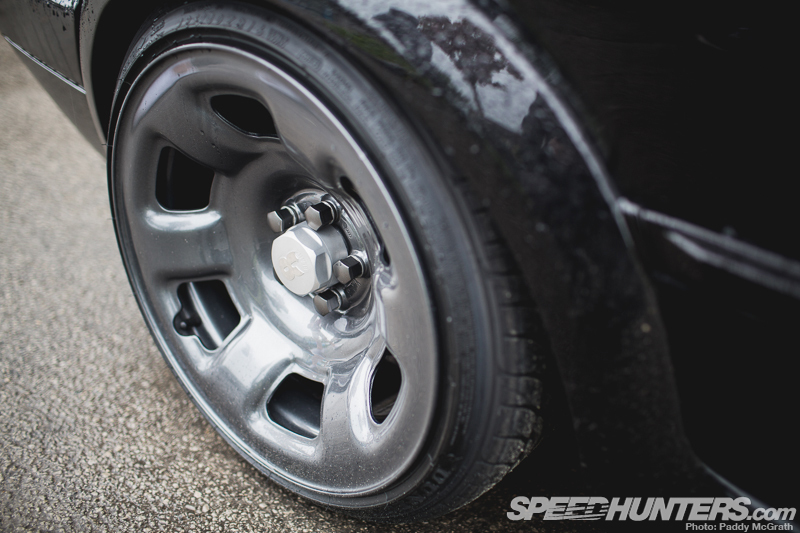 Running air suspension, the fitment was pretty nice – not too aggressive. 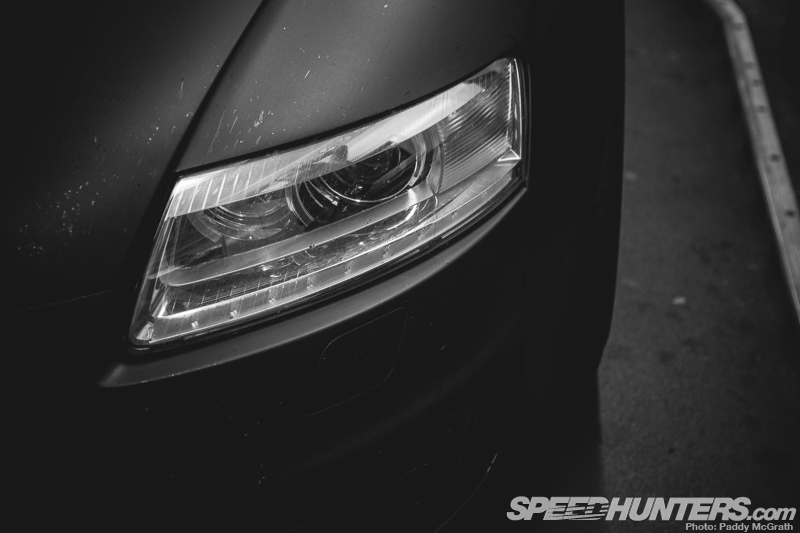 The interior of all modern Audi cars is a very good place to be – comfortable and classy. Great for road tripping to places like Austria. After a couple of minutes checking the A5 out, I realised that this was actually wrapped in vinyl and not painted. The work was incredibly good and one of the best wraps I saw at the event. Wrapping a car is such a quick and easy way to change the colour and the impact is massive. With the paint protection benefits as well, it’s easy to see why a lot of people go for this method over a paint job. 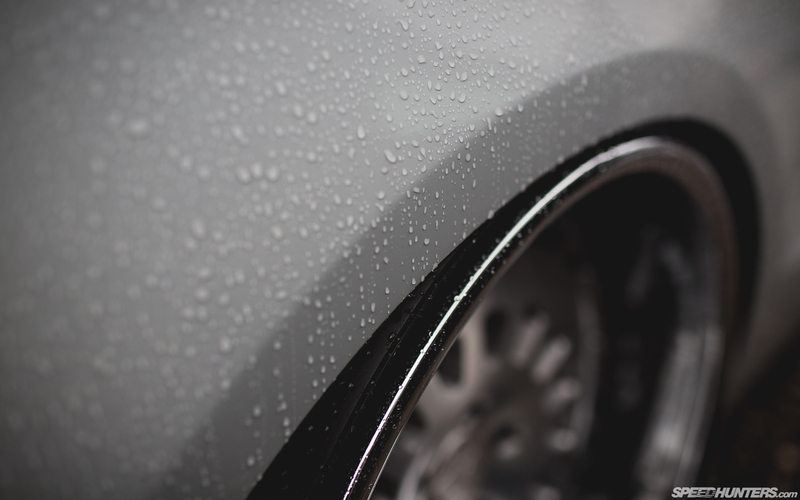 Still, you can’t beat the shine and depth that painting a car well delivers. Quirky wheels are always nearby at any Volkswagen Audi Group gathering. …and the rolling stock was just inspired. These OEM Audi steel wheels twisted my brain a little. Usually the Mk2 has a 4×100 PCD, so these wheels will require a little extra effort to get them on. The look was well worth it though. 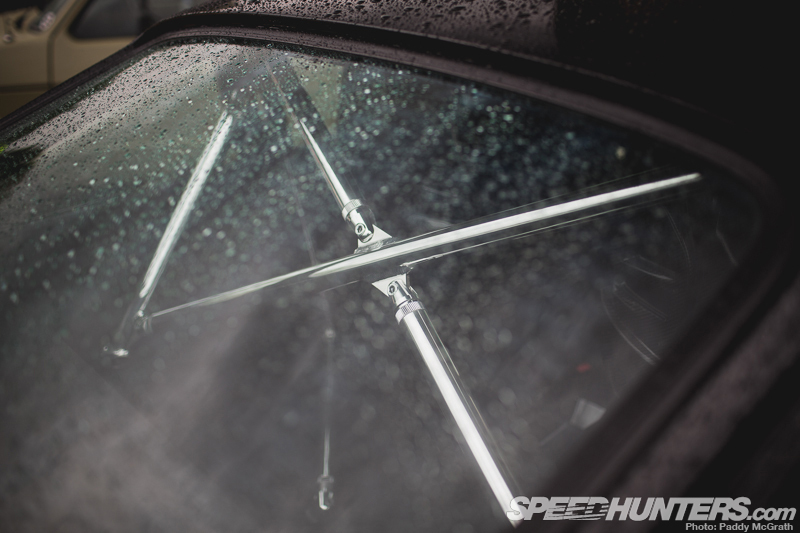 Interior-wise things have been kept simple with a neat Momo Team wheel and diamond stitching added to the seat centres. The head unit has been upgraded to an Alpine system and there were a few extra gauges too. I really liked this car; it was nice to see something very different to the norm. Our final car is possibly my most perfect Autobahn tool. 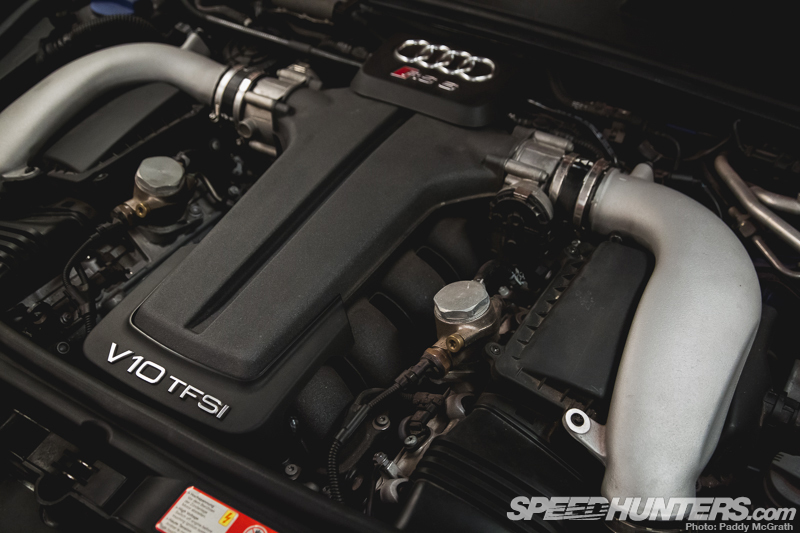 Shiv’s RS6 packs 750bhp from the V10 bi-turbo motor and lays power down via Audi’s legendary quattro system. The software has been upgraded along with the exhaust which gives a subtle sound but the results are far from low-key. Having this kind of power at the push of the throttle in such a usable vehicle is pretty incredible. Shiv’s company, Design 4 Automotive, is a UK dealer for Airlift suspension products and also European distributor for AccuAir. So it goes without saying that his car runs these products making it possibly the only RS6 I’ve seen using a performance air suspension set-up. The Audi is used as a demo vehicle and Shiv often carries a lot of product, stand equipment and staff in this car. With all this weight on board, the suspension system works out how much pressure to put into each bag ensuring that the correct ride height is maintained at all times. So complete practicality is maintained. The ‘Low Enforcement’ livery was added especially for the Wörthersee event and got quite a bit of attention. The car certainly looked mental on the move.